We first met in early 2011 at Velocity Coffee Shop at Gold Coast Airport where we were both working at the time. After a few months we were dating and planning our first of many overseas holidays – this one was to Thailand for New Years! We were in Melbourne and spent the day on the “hop on, hop off” bus exploring the city. It was a freezing day, in the afternoon we went to the Lindt cafe for a coffee than sat on the grassed area of the Art’s Centre on the Yarra River. Xaan waited until there was just the two of us up there and then got on one knee and asked if I would grow old with him – it was our 5th anniversary of being together and of course the answer was yes! 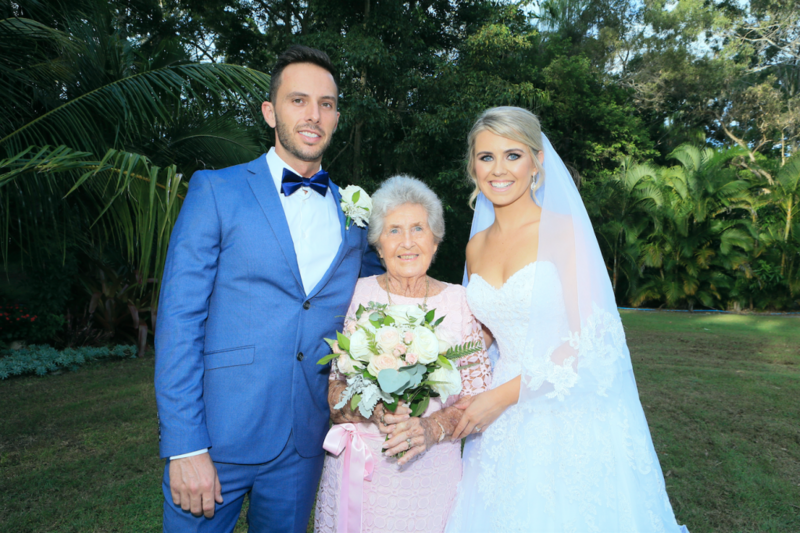 Our wedding was always going to be held at my Na’s house in Hervey Bay as Nan wouldn’t have it any other way. 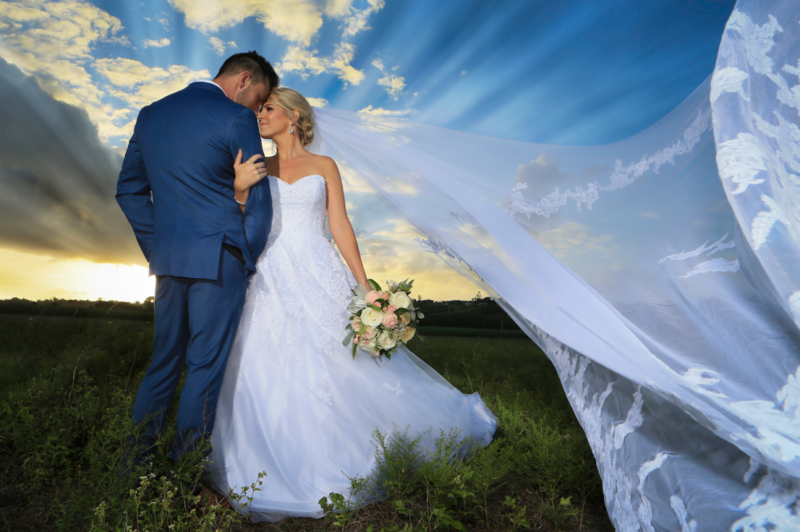 As I’m an Events Manager I thought it would be easy, however it was as easy as I thought… Being in a backyard in Hervey Bay, weddings are not as big up there as they are on the Gold Coast, so furniture, marquees and catering were few and far between or just way too expensive! After a lot of research majority of our stuff was hired from Bundaberg and then other local businesses within Hervey Bay. In the end we couldn’t have had a better day even if cyclone Iris made us make a last minute decision to cut down 2 trees to fit a marquee in case of rain! I always dreamed of a tight, low cut back dress and I got the complete opposite. Luv Bridal was the second store and last store I looked at. The third dress I tried on was the dress I fell in love with! 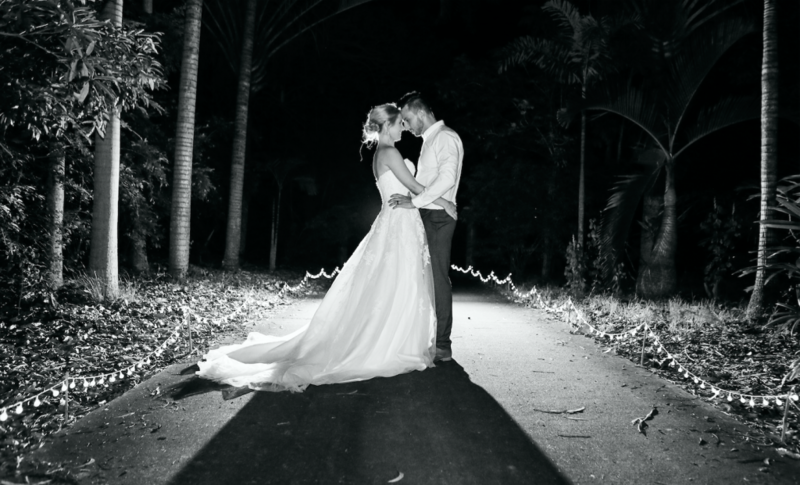 It was a strapless, princess type dress – one I always said I would never have! I also found my dream veil as well! I couldn’t have been happier, service was exceptional and I was so glad we could take photos so I could show my bridesmaids that couldn’t make the try on. By that afternoon I was back in the store paying my deposit. The whole day was amazing and I felt incredibly lucky to have 81 family and friends travel from all over to see us say I DO. I am most thankful that both mine and Xaan’s nans could be there to celebrate with us and as we have lost grandparents and have grandparents that couldn’t travel due to illness. It meant the world to us! We have a few songs that remind us of our day. 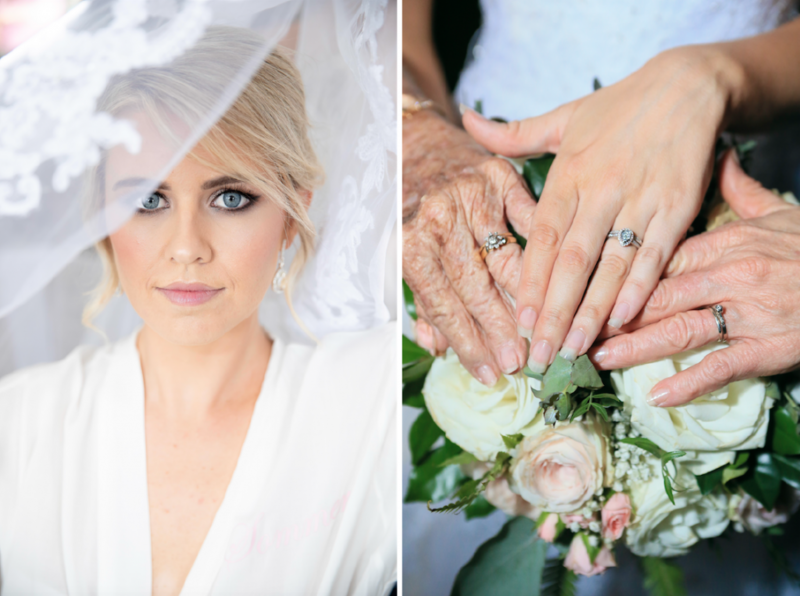 “I get to love you” by Ruelle was the song I walked down the aisle – I absolutely fell in love with this song the minute I heard it and was perfect. 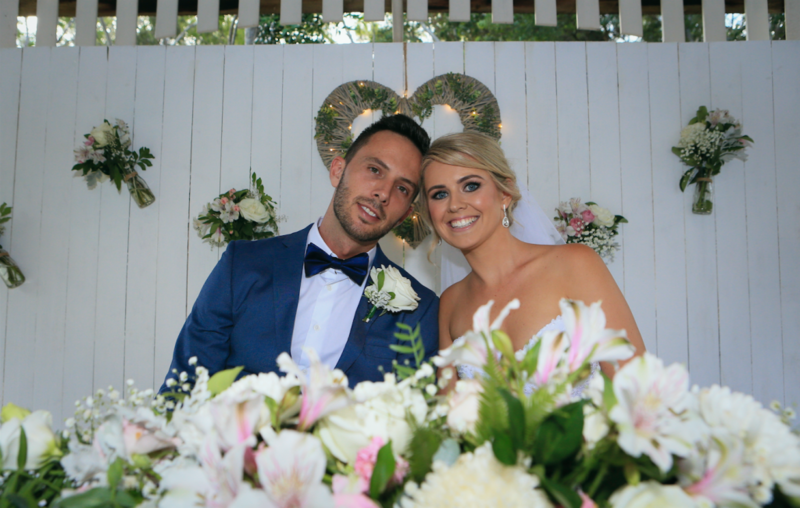 Slice of Heaven” by Dave Dobbyn was the one song Xaan choose as our song to enter our reception with our bridal party. “Horses” by Daryl Braithwaite – this was the one song that got everyone up dancing and singing. We had my uncle’s band play at our wedding that they learnt this song for us. One vendor I couldn’t thank more is Bren, our photographer – Xaan is the least patient person ever and Bren had all the patience in the world when we went to get our photos and it all paid off as our photos are amazing. For our bonbonnieres we donated to the McGrath Foundation, we had plenty of people give us their opinion of what we should have as our bonbonniere and we couldn’t please everyone therefore we decided to donate that allocated money to a charity close to our hearts as my nan has and Xaan’s aunty is still battling breast cancer. As a married couple we are looking forward to buying our first home and eventually starting our own family in the near future. Enjoy with little second of the day, including the planning. Your wedding day goes so fast, so make sure you take a moment with just your significant other half to have a moment to take in everything that is happening.